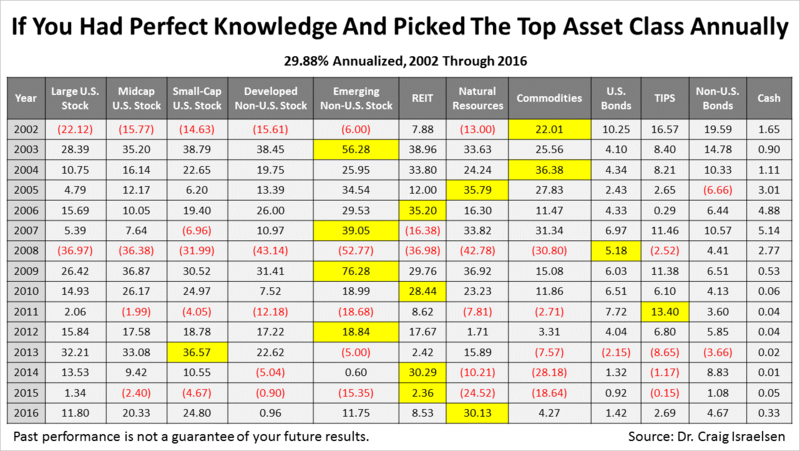 If you had the power to predict which one of 12 types of investments representing wide range of assets was going to be No. 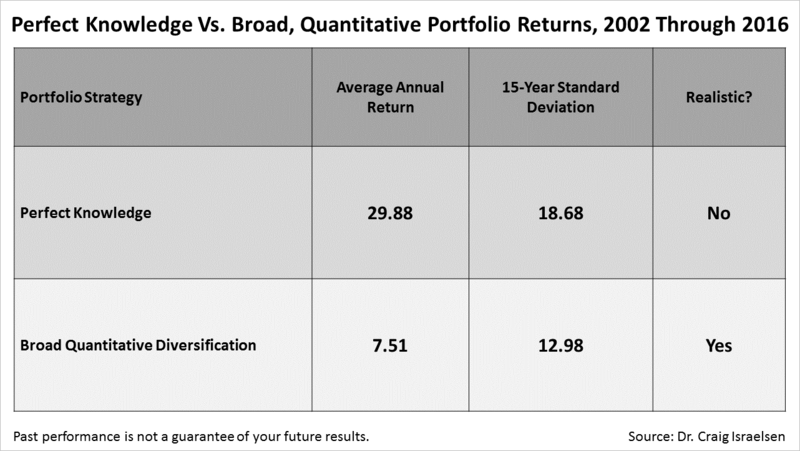 1 every year for each of the 15 years from 2002 through 2016, you would have averaged a 29.9% annual return. To be clear, to get that 29.9% return every year from 2002 through 2016, you would have had to invest 100% of your portfolio in the No. 1% asset class on January 1 and held it until the end of the year, and then bought the coming year's leader. The yellow boxes highlight the No. 1 asset classes in each of those 15 years. On January 1, 2003, you would have had to choose which one of the 12 types of investments would be No. 1 again, and you would have had to do that annually for 15 years to average 30% return. It's counterintuitive but those are the facts. The data is from Dr. Craig Israelsen, an expert of low-expense portfolio design, whose research we license to share with you. Of course, past performance is not a guarantee of your future results. Nor is a quantitatively-driven discipline infallible.